Double blunt hook, grooved handle. Nickel plated. These hook retractors would have been used to retract bodily tissues during a surgical operation. 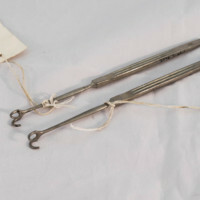 Unknown, “Hook Retractors,” Heritage, accessed April 23, 2019, https://heritage.rcpsg.ac.uk/items/show/153. Description: Double blunt hook, grooved handle. Nickel plated. 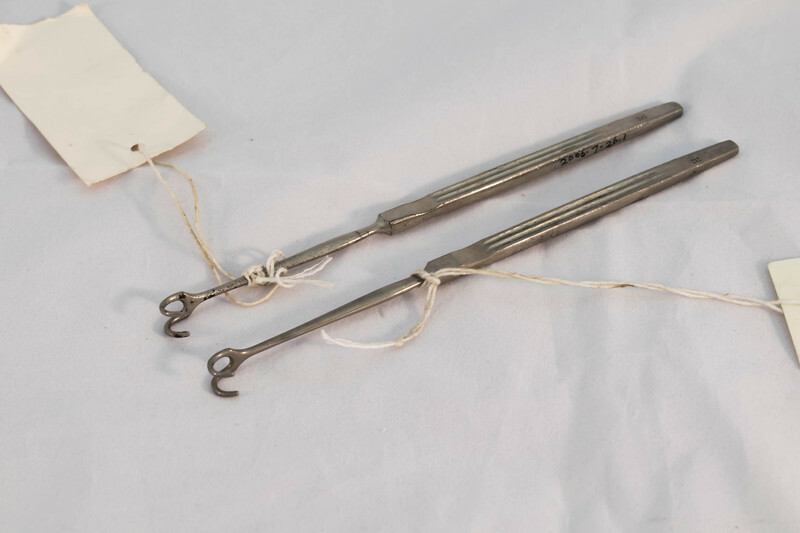 These hook retractors would have been used to retract bodily tissues during a surgical operation.